Last week I had every intention of presenting a recipe for lemon meringue pie. I made the pie on Wednesday and it looked great from the outside. However, when I cut a slice on Thursday in order to take pictures, I discovered I had actually created lemon meringue soup. It had great flavor, but was definitely nowhere near ready for the blog. A few weeks ago M and I moved into a new place. We have a ton more space (including a garage!) and it’s been a great upgrade for us. I bribed a few friends to help us move the heavy furniture, as everyone does, by promising them cookies. One requested chocolate chip, and the other, his favorite snickerdoodles. I was around 14 when I made snickerdoodles for the first time. 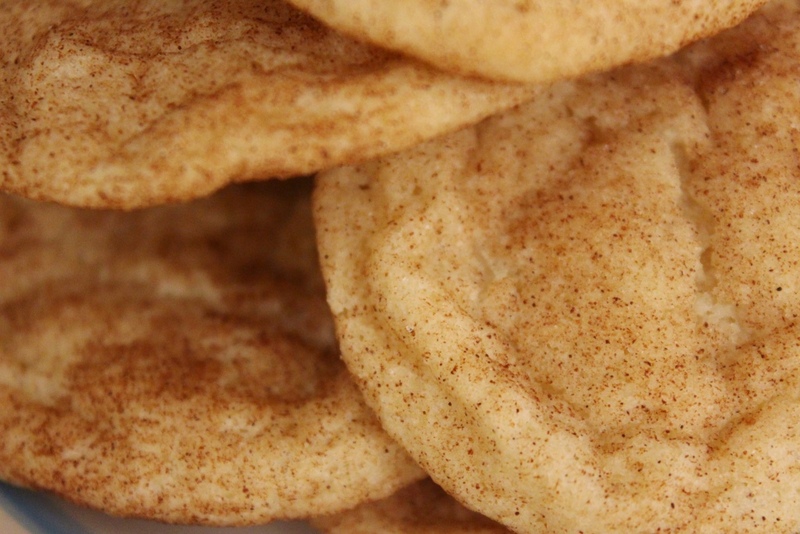 They turned out huge and soft and perfectly round, with that classic snickerdoodle flavor. I have never quite been able to replicate this feat, but my current favorite recipe comes pretty close. No one turns them down, and in general it’s hard to eat fewer than six at one time. This recipe makes enough to share while keeping plenty for yourself. 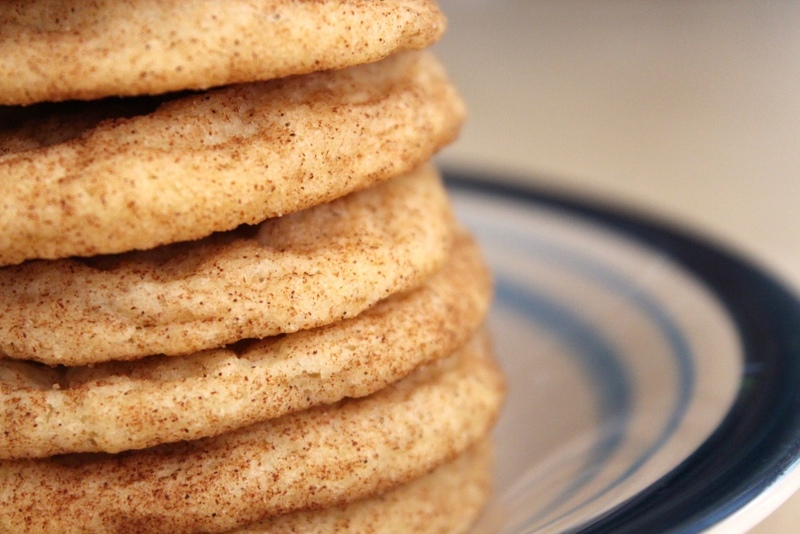 Although they are a little more time-consuming than standard drop cookies, these snickerdoodles are well worth the extra effort. The recipe is below, with my preferred method for making them. In a large bowl, on medium-high speed, beat together butter and sugar until fluffy. Meanwhile, whisk together flour, cream of tartar, baking soda and salt in a separate bowl. Set aside. Beat the eggs into the butter mixture one at a time, combining fully after each addition. Slowly and gradually stir in the flour mixture, beating just until combined. Chill dough for about 30 minutes. Meanwhile, mix the remaining sugar and cinnamon in a shallow bowl. Scoop the dough into 1 tablespoon balls (I like to use a cookie scoop). Roll each ball in your hands (should be about 1″), and then in the sugar/cinnamon mixture. Chill the dough balls while you preheat the oven to 350°F. Line two cookie sheets with parchment paper or silicon mats, and place in the fridge while the oven preheats. Place the dough balls about two inches apart on a chilled cookie sheet and bake for 10 minutes. Let the cookies cool on the sheet for a couple of minutes before placing on a cooling rack. Chill the cookie sheets and the dough balls between batches. Store cookies in an airtight container and they will keep well for several days.